It’s far too easy for you to put off your dreams. Society gives you plenty of excuses to do just that. Life is complex, and the institutions and technologies that we have developed for ourselves sometimes make it less so, but often they simply add to it. When you get caught up in that complexity it’s easy to lose track of where you’re going and why. If you’re lucky then society is pulling you in the direction of your dreams. 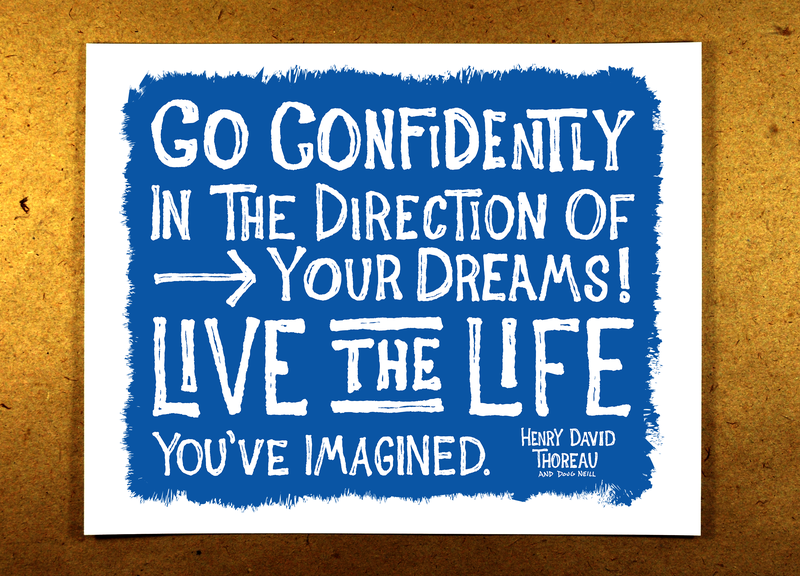 If not then you need to be prepared to swim against the current. 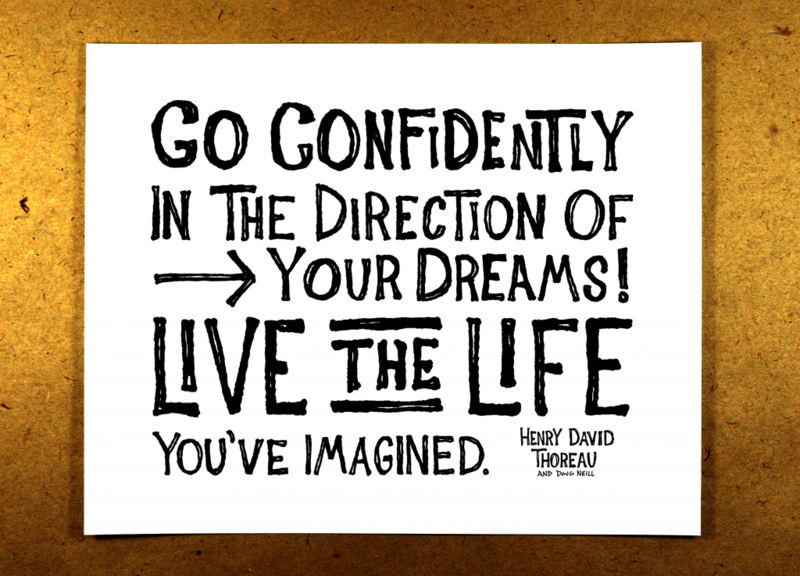 This message from Henry David Thoreau is a call to action, a not-so-subtle request that your next step be taken in the direction of your dreams. You may have many steps to go before you arrive at your destination, but when you know you’re moving in the right direction you just might find your steps becoming lighter and quicker. 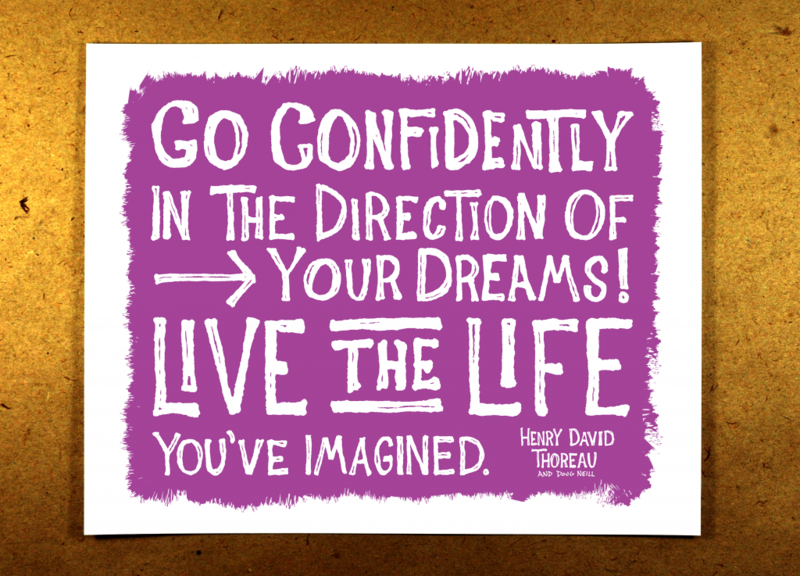 So go confidently in the direction of your dreams, and in time you’ll find that you’re living the life you’ve imagined.